Wednesday 20th November will see the Salford Red Devils Foundation open the doors at the community offices, and welcome in prospective students and their parents for our open evening, providing information on January’s inaugural BTEC Level 2 qualification. 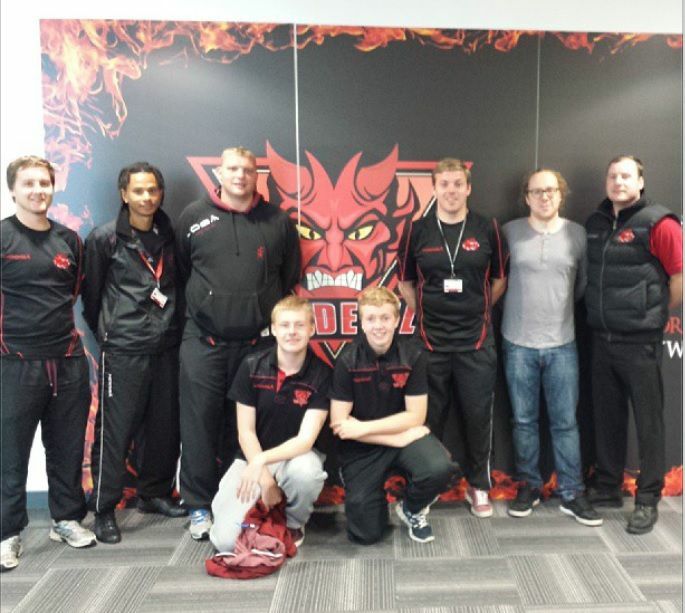 With the team here at the Salford Red Devils Foundation eager and prepared for January’s course kicking off, Wednesday evening will provide parents and students with the opportunity to meet the team of coaches, teachers and trainers, as well as view the facilities with a view to enrolling on the course as a first step towards a career in sports, or supporting a path to higher education. With over 150 NEETs in Salford alone, the January course start date will hopefully provide an option for young people, aged 16-18, to continue their education and professional development in a less traditional classroom environment, while providing opportunities to develop real skills and on the job sports industry experience. Successful completion of the level 2 course will allow students onto the level 3 course in September, a qualification in itself which enables application for university. The course run by the Foundation, in conjunction with the rugby club and partner organisations, will enable students to gain qualifications and experience relevant to working within a professional sports organisation, from coaching and training, to sports psychology and sports marketing. Furthermore, with an opportunity to get ‘hands on’ on match days, as well as undertake placements with sponsors and partner organisations, the opportunity to build on CV and real life working experience will be invaluable for developing careers moving forwards. Foundation Manager Mark Brocklehurst said, “We’re delighted to be extending our education program to include this BTEC level 2 qualification. Having developed a successful apprenticeship scheme and work experience program, as well as our partnerships with education bodies and our Albion Academy tie in, we believe we are now in the position to deliver top class sports education program and help nurture the next generation of sports coaching and executive talent”. “We very much look forward to welcoming students and their parents to the open evening we are holding on the 20th (November), and having the opportunity to discuss the course and what the BTEC can offer in greater detail”. For more information on the open evening event on Wednesday 20th November please contact the foundation offices on 0161 820 2739.